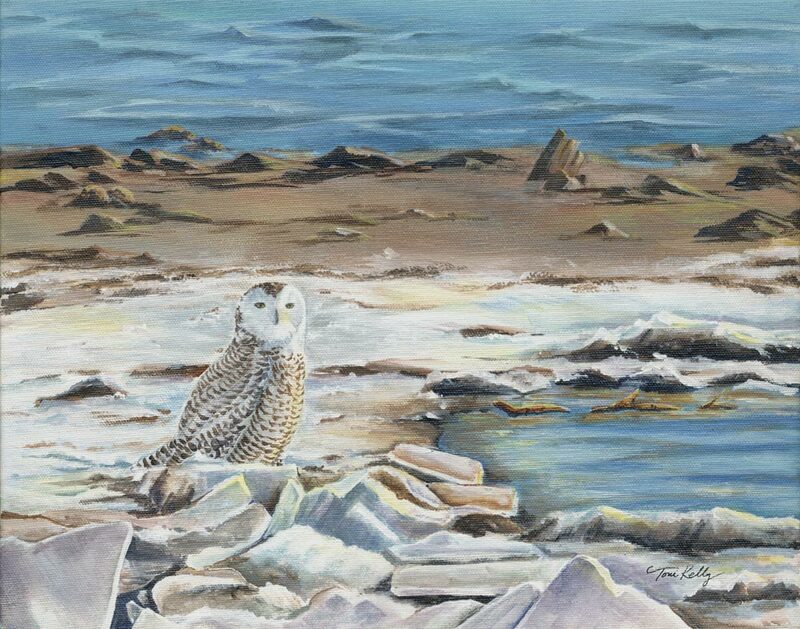 I originally painted this Snowy Owl in 2014 using the actual landscape setting. It was a very cold day with ice on the shore near the bay side of Gull Point. There were several owls there that day and lots of photographers. At the time I thought I should paint the original landscape with all the ice and cold. 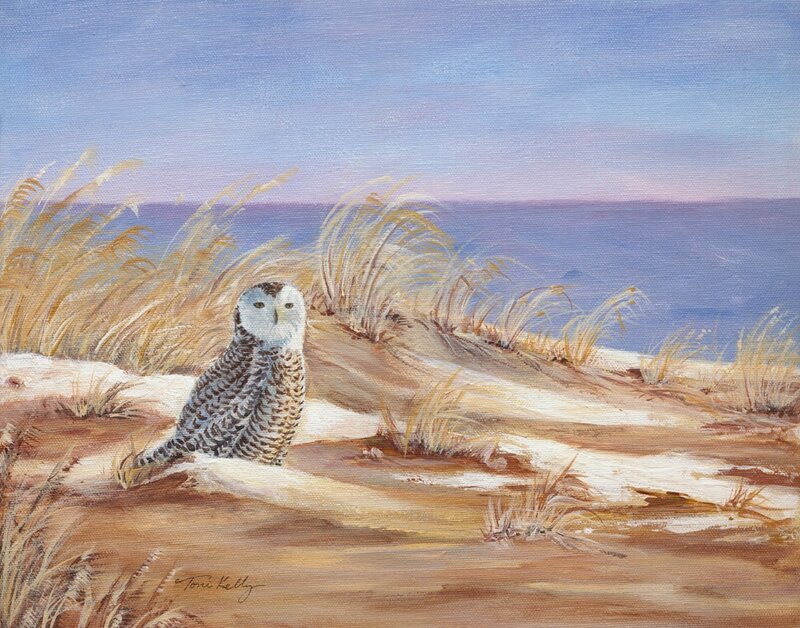 Since I still had the painting in my possession I felt it was time for a make-over for this owl. I went back to my photos of that day looking at the landscape and noticed quite the difference from the bay side and lake side of Gull Point. I chose a photo overlooking the lake side with more snow, sand and blowing grasses. 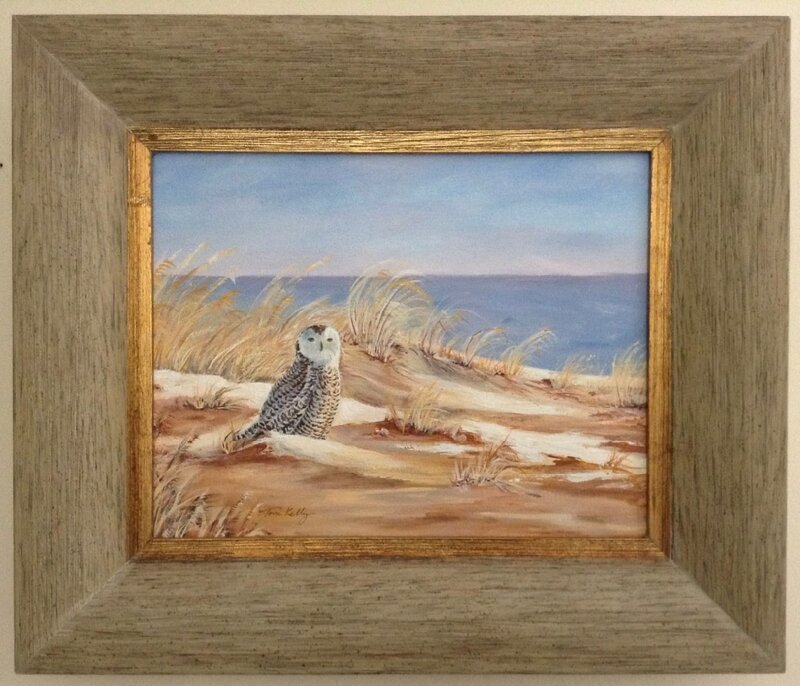 The owl fit perfectly so I used gesso to cover up the old background except for the owl and painted the new background which gives a softer side to the painting. I think you will agree it is a much better painting now. The old painting and you can read more about it in this blog post from 2014.